Which King are we talking about?This one is not a British king, but the King of Siam (now called Thailand). 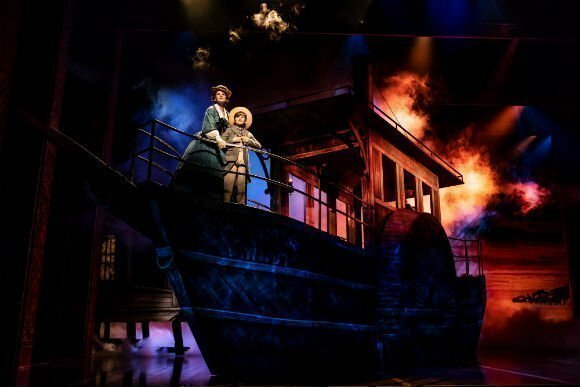 The musical is based on a book by Margaret Landon in 1944, called Anna and the King of Siam, which itself is based around the memoirs of Anna Leonowens, who was a governess to the children of Kong Mongkut of Siam in the earl 1860s. 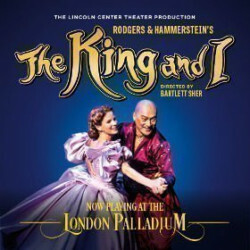 In the theatre world, The King was originally played by Yul Brynner in both the stage and the film adaptations of The King And I. That film did quite well, didn’t it?It did! In fact, Brynner won an Oscar in 1956 for his role in the film and his co-star, leading lady Deborah Kerr, was herself nominated for an Oscar too. The musical did pretty well too when it first came out – it won three Tony Awards, including Best Actress (for Gertrude Lawrence), Best Musical and Best Actor (for Brynner again). Brynner was in both? What a talent he was, to go from film to stage!Very true, he was pretty incredible. But in fact, the stage version came before the film, even though the film is arguably more well-known. 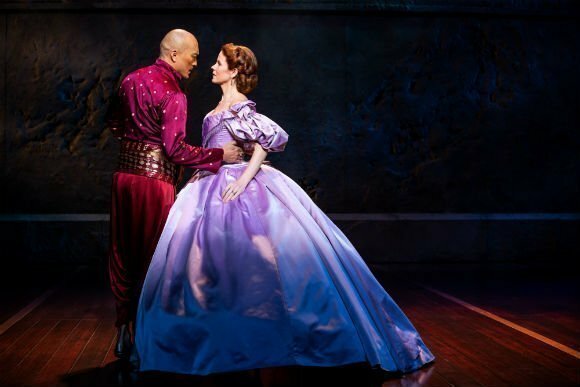 The King and I was written by one of the greatest writing partnerships in the 20th century – Rodgers and Hammerstein – so you know it has some pretty catchy tunes in it. Ever heard of “Getting To Know You”, “Something Wonderful” or “Shall We Dance?” We have, and we love them all! So, who is in this revival then? As much as we love Brynner and Kerr, we imagine it’s not them. Very true,if only we could go back in time and watch them! But the leading pair in Bartlett Sher’s latest version are pretty spectacular too. 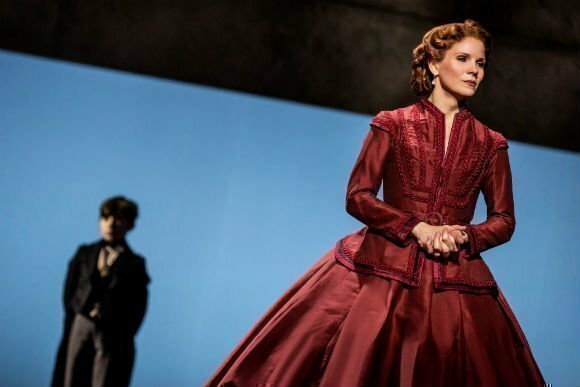 Playing Anna is six-time Tony nominee Kelli O’Hara, who won her last Tony in 2015 for her performance in Sher’s The King And I on Broadway. 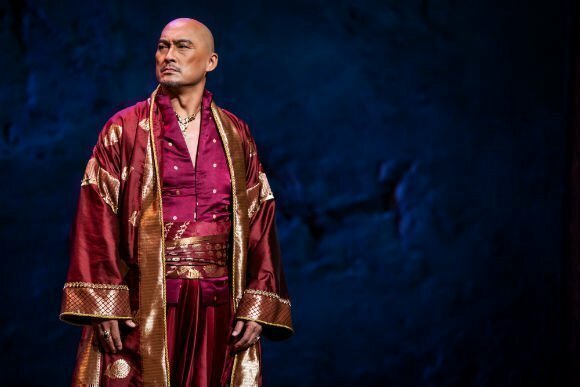 The King will be played by her co-star Ken Watanabe, who was also nominated for a Tony Award for his role opposite O’Hara. Who would have thought that this role was Watanabe’s first ever stage role? He’s a renowned Japanese film actor, but to gain such praise on your first stage outing? We’re excited to have them both coming across the pond! 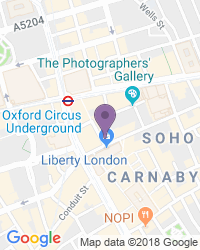 I’m sold – where and when? 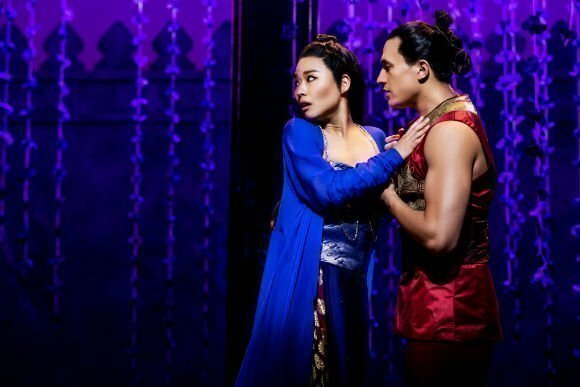 The King And I will play at the London Palladium from June 2018. A revival not to be missed in the theatre calendar! 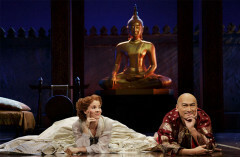 We have a great selection of cheap The King and I tickets. 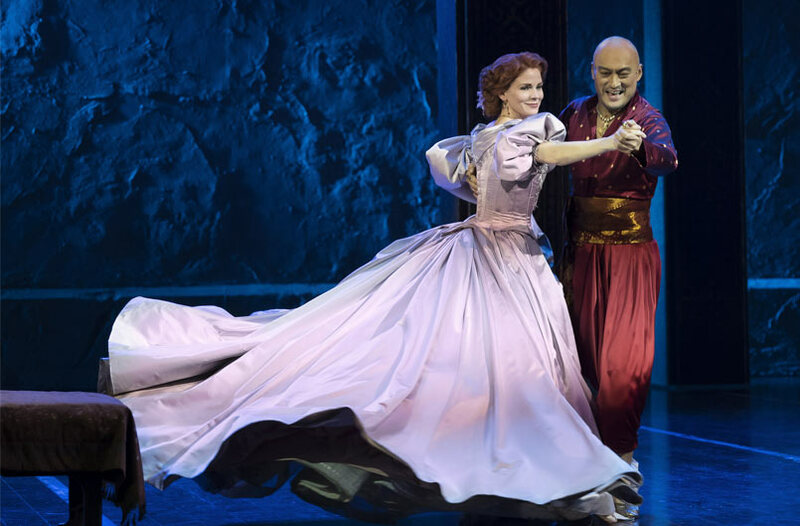 We can help you save up to 70% on The King and I tickets! 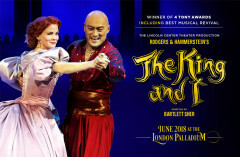 If you're looking for discount theatre tickets have a look below for our latest offers for The King and I at the London Palladium. Valid Saturdays 5 - 29 Sep. Book by 16 Sep 2018.. Excludes 8, 15, 22 Sep evenings. A highly entertaining and enjoyable spectacle performed with with an extremely professional cast who obviously absolutely loved being a part of this much loved story. 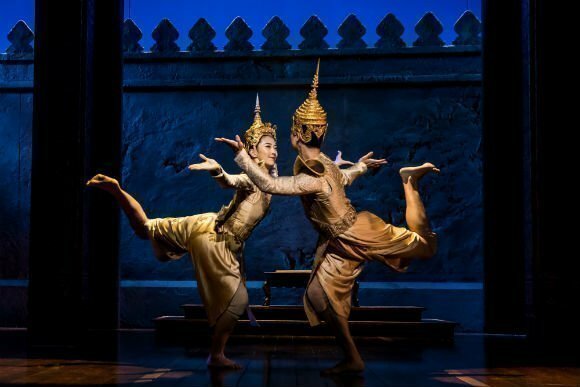 We loved “The King and I”! I grew up listening to the music from “The King and I” on vinyl and have watched the movie with Yul Brenner and the remake with Jodi Foster. I can sing along with all the songs! This performance did not disappoint! Loved the choreography and costumes too. Just a great love story and we are so glad we went to see it! The characters all had superb singing voices, the staging was very good and the whole show left you with a real feel good factor! Well done to everyone involved in the production of this wonderful show.! This new production makes the old story seem like new. This show deserves 7 stars. The cast were amazing with wonderful voices, sets and costumes fabulous. It hit just the right note. 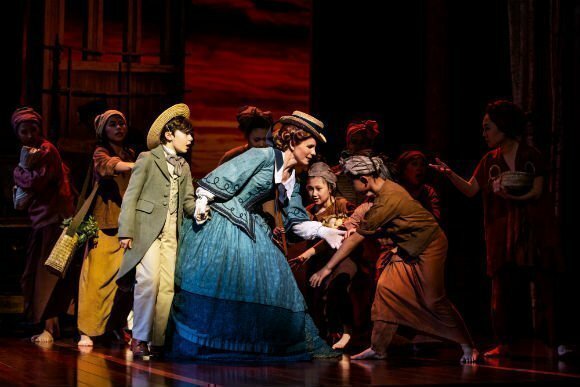 I have never seen a better musical in the West End. 3 hours just flew by. It was a flawless production. It’s a great show with great songs and a very current theme about the role of women in society that my daughter would approve of. Absolutely fantastic, from start to finish just super! Don’t miss this show, it has to be seen! Delightful. Thought provoking with soft touches of humour. Super costumes. Lively & colourful with exceptional choreography. I enjoyed the performance. Anna had a beautiful voice. The acting between Anna and the King was superb, very comical, just as I rembered it from the film. The only downside was that at times it was hard to understand what the King was saying, but it didn't spoil the show for me. Fantastic show well worth seeing more than once. 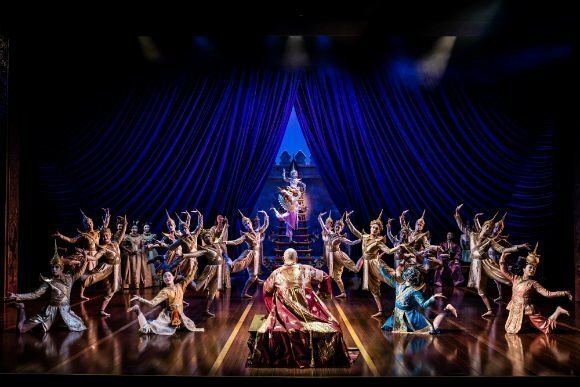 The King and I was brilliant as good as phantom, at the end myself and two friends were sobbing it was fantastic. Brilliant show, last saw it here with Yul Brynner. This did not disappoint. Regular readers will know how much I was looking forward to this Broadway import. 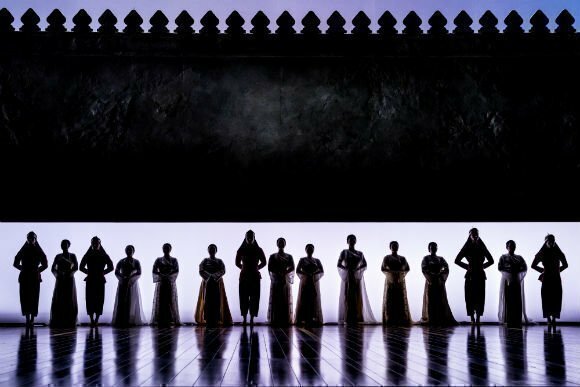 I saw the production at the Lincoln Centre in New York and, having once directed it myself, I was full of admiration for director Bartlett Sher, who made the storytelling so clear and the more old fashioned elements seem fresh and invigorated. 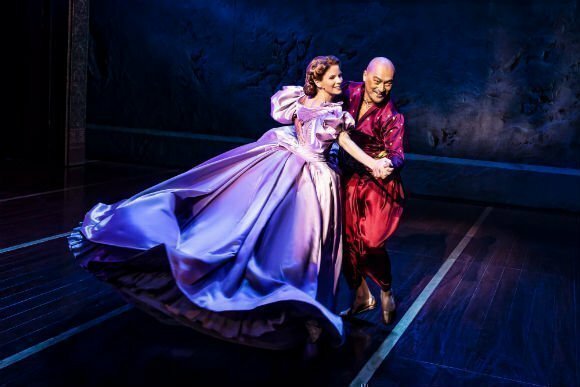 Kelli O'Hara as Anna and Ken Watanabe as the King in The King and I. 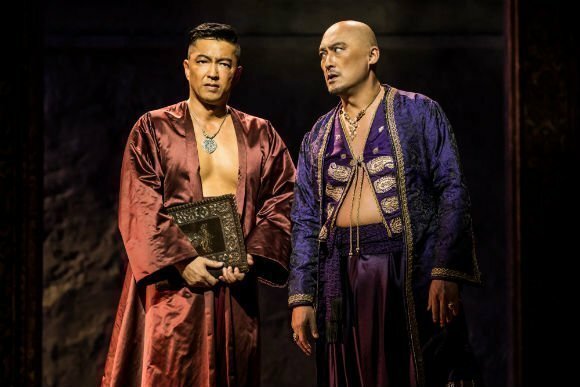 The buzz around the West End transfer of The Lincoln Center Theater’s production of THE KING AND I continues with the announcement of extra performances and new cast members. 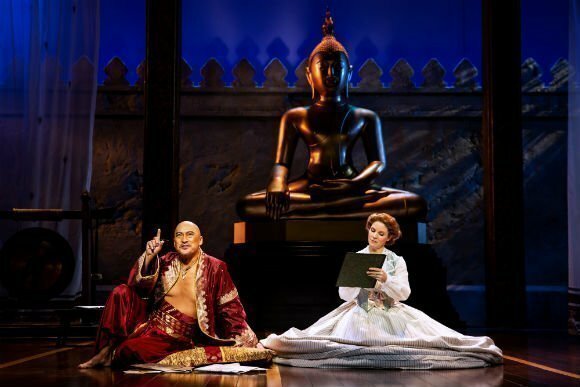 Classic Musical THE KING AND I Returns to London and You’re in for a Treat! 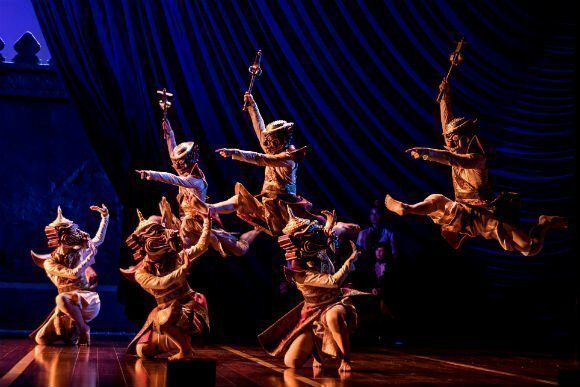 One of the shows I'm most excited about seeing this year is the London transfer of the last Broadway production of THE KING AND I.
I saw it at the Lincoln Centre and I promise you it’s absolutely exquisite as directed by the rather brilliant Bartlet Sher. I know the piece really well having directed it myself and I was amazed at how Sher had made such absolute sense of it that many of the scenes in this production were a revelation. 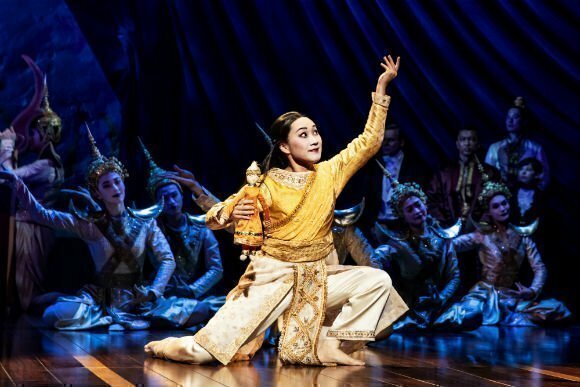 Use the search box at the top left of this page to search for The King and I tickets availability.